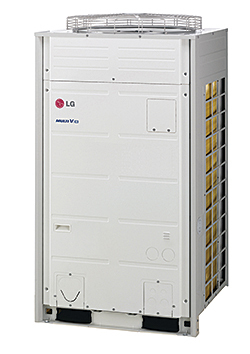 The Multi V III is a variable-refrigerant-flow (VRF) system for large-scale facilities, such as commercial office buildings, hotels, hospitals, and schools. The third-generation in the Multi V series uses VRF technology that enables improved energy efficiency by allowing occupants to choose whether to air condition or heat only the zones in use. A fast-response cooling or heating feature reaches room set point temperatures 40 percent faster than previous systems. It also is one of the first performance-certified VRF systems, ensuring customers receive verified ratings that comply with all national energy codes.